Fort Valley is the county seat for the Peach County government. Under the leadership of a five-person elected commission, the county provides essential services and as many other services as tax revenues allow for the residents of Fort Valley and Peach County. Conduct business in an open and professional manner without favoritism. 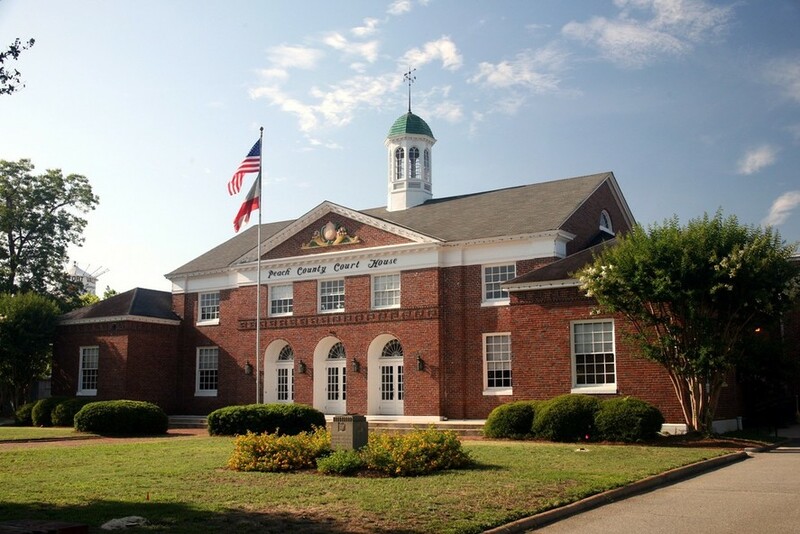 The board sets direction and formulates policies for the county government, develops and approves the budget, authorizes expenditures, and approves or disapproves specific actions, such as rezoning of private property. Voters in each of four districts elect a commissioner with the fifth commissioner being elected county-wide in the at-large post. The Commission Chairman is elected by the Board Members yearly at the first meeting in January. Terms are for four years, but staggered so the at-large post and two commissioners are elected during one election cycle and two years later the other two commissioners are elected. The board meets on the second Tuesday of each month at 6 p.m. in the Public Meeting Room of the Peach County Courthouse in Fort Valley. Work sessions are scheduled and advertised as needed. The board also conducts public hearings to consider zoning requests at 6:30 p.m. during regularly scheduled monthly meetings.